A Project Management Office (PMO) Definition has been given in detail in a previous article, but here it is again in short: a PMO is a team bringing economies of repetition to all projects embarked on within an organization. But what exactly are these “economies of repetition”? By predictability we mean increasing the planning accuracy of projects in terms of budget, schedule, and resources. Increased project predictability makes the initial investment case for projects undertaken more accurate, making the project less likely to be a failure. Additionally, increased predictability makes teams working downstream from the project team (e.g. the client engagement team) more consistent also. Consider if a project has been promised to a customer at a certain date, then increased project predictability means that at a minimum the client engagement team are recalibrating the client’s expectations less often, and so the customer’s expectations are met and they are thus happy. The number one benefit of a PMO is predictability. A reduction in project costs should be considered the secondary benefit. There are of course cost savings which come from the standardization of process and documents, but these typically don’t provide massive benefits to organizations. Instead the real cost savings come as a corollary benefit of Predictability, namely that because downstream changes to project plans are much more expensive than getting things right first time, predictability will in and of itself bring the majority of cost savings. To explain what we mean by “standardization leads to understanding” let’s look at the example of project milestones. 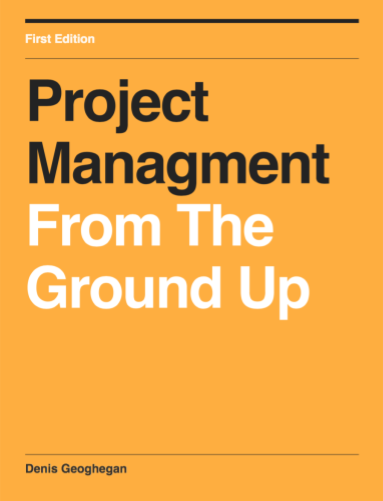 Without a PMO and standardization of project management practice, then different project managers in different parts of the organization will probably be using different milestones. For example, consider a software development project where the R&D team say they are done. When they say this they might mean that the code is complete but not tested, or they might mean that the code is complete and tested. Each of these are clearly very different states to be in. If when my team says it’s done it means code complete and tested, then I might be forgiven for thinking that it means the same thing when another team tells me they are done. I hope you can see that these misunderstandings can have a large impact on the project and how it is perceived. By introducing universally understood milestones across an organization it means that misunderstandings are avoided, and that everyone understands exactly what is meant when we say that milestone x has been reached. Many organizations must comply with standards as they undertake project work. One such standard is Sarbains-Oxley, sometimes called SOX, which introduced standards to be followed for all US public companies in 2002, following corporate scandals such as Enron. If SOX or any other standard must be followed within your organization, then a project office can ensure that standard practices fulfil the needs of the standard to be followed. Simply put, a PMO seeks to bring economies of repetition to an organization. The key business benefits of a PMO are predictability, cost savings, creation of a common understanding, and project assurance. If you are tasked with creating a PMO then you may wish to think about the order in which you want these benefits realized in order to help you phase/plan your PMO implementation. There are of course other benefits of PMO’s, but in my experience these are the major ones for which you should be planning. I like your layout here on this topic. Determining value of a PMO is critical to its political success in an organization in my opinion. I only wish you had expounded in a little more detail for each the four categories you mentioned above. I definitely believe that unless an initiative is adding clear value (either to the bottom line or strategically) then it should be canned. As to the level of detail in this post, that’s a tricky one. When I go into detail I get comments saying I’m too detailed. When I give the top level view I get the opposite comments. Ho hum – I guess that’s life!